ArenaNet™, publisher and developer of the acclaimed Guild Wars® franchise, chose the inaugural TwitchCon show in San Francisco this past weekend to unveil the launch trailer and announce the next beta event for Guild Wars 2: Heart of Thorns ™. The studio was one of the biggest exhibitors at the show, using the Twitch main stage and two full days of livestreamed programming on the official Guild Wars 2 Twitch channel for feature reveals, exclusive behind-the-scenes material and special appearances by popular streamers as it set the stage for the launch of Heart of Thorns on October 23. There was also programming aimed at the throngs of new fans joining the Guild Wars 2 player community since the game went free last month, including the announcement that this year’s annual Halloween release, which brings new content and rewards, will be available to all players when it releases late next month. As one of the highlights at TwitchCon, ArenaNet game director Colin Johanson debuted the launch trailer for Guild Wars 2: Heart of Thorns on the Twitch main stage. The launch trailer shows iconic Guild Wars 2 hero Rytlock Brimstone facing off against the forces of the jungle dragon, Mordremoth, who has destroyed the Pact air fleet. You can watch the launch trailer here. 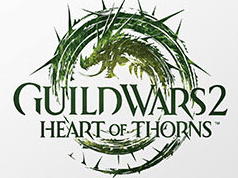 Johanson also used the Twitch stage to announce the dates for the final Guild Wars 2: Heart of Thorns Beta Weekend Event and surprised fans with the revelation that raids will playable during this event for the first time. The upcoming beta event is available to all players who pre-purchase the expansion. It begins this Friday, October 2 at 12 p.m. PT and runs until Sunday, October 4 at 11:59 p.m. PT. During the upcoming Beta Weekend Event, players will be able to create fully geared level 80 beta characters from any profession, including the all-new revenant profession coming with the expansion. 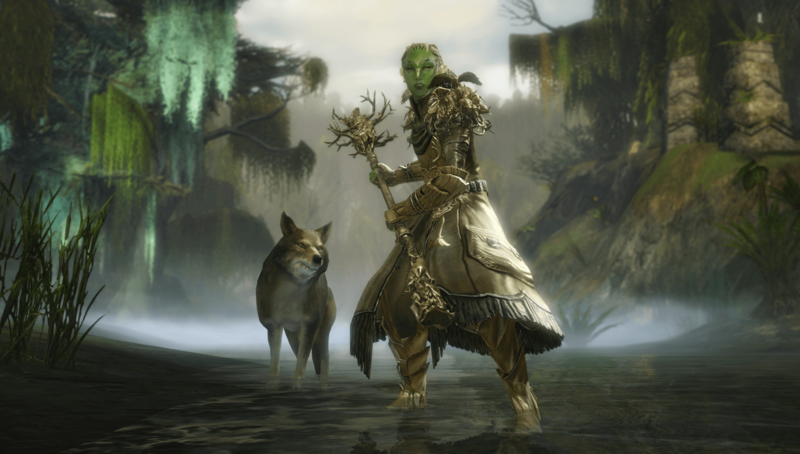 Players can also try all of the new elite specializations that bring new weapons and abilities to each profession, including the druid specialization for the ranger profession which was unveiled at TwitchCon. The beta also gives players the chance to fight new bosses and explore a new area of Heart of Maguuma, the new zone featuring in Heart of Thorns, where they can train masteries in a previously unexplored part of the jungle region. ArenaNet followed up its announcement last month that Guild Wars 2 is getting raids with Heart of Thorns by revealing that this final beta event for the expansion includes a portion of the first raid. 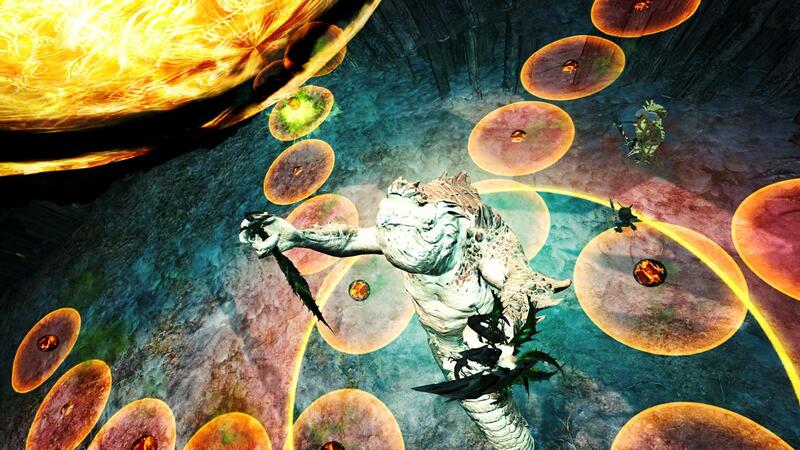 In the beta, a brand-new portal serves as a temporary entrance to the first raid, where parties consisting of 10 players can enter the first raid wing, Spirit Vale. 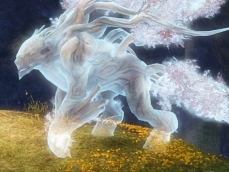 Players will experience the first of what will become four total encounters in Spirit Vale. They’ll be tasked with seeking out a missing squad of Pact soldiers who disappeared while scouting an area north of the jungle. Throughout TwitchCon, the official Guild Wars 2 Twitch channel became ArenaNet Television, featuring daily livestreams with game reveals, original content hosted by The Nerdist’s Dan Casey, and clips and appearances from popular streamers anthonyacc, BogOtter, DjTechlive, docgotgame, jebrounity, phantaram and RPGShack. ArenaNet partnered with iam8bit to create a slate of original programming including “A Taste of Tyria,” a Guild Wars 2 themed cooking show hosted by celebrity voice actor Jennifer Hale, and a live musical segment featuring Guild Wars 2 music with composer Maclaine Diemer. The studio also premiered new livestream shows at TwitchCon that will join the regular lineup on the Guild Wars 2 Twitch channel with “Guild Chat,” a weekly news and talk show, and “Community Showcase Live,” a new program spotlighting the creativity of the Guild Wars 2 player community. All programming that aired throughout both days at TwitchCon is archived on the Guild Wars 2 Twitch channel (http://www.twitch.tv/guildwars2) and will be uploaded to the Guild Wars 2 YouTube channel (http://www.youtube.com/guildwars2) soon.